Now, winners of Europe's Prix de l'Arc de Triomphe will be guaranteed an all-expenses paid spot in the Breeders' Cup. Europe’s most prestigious race, the Group 1 Prix de l’Arc de Triomphe, has been added to the roster of races that guarantee the winner an all-expenses paid spot in the Breeders’ Cup, the organization announced on Thursday. 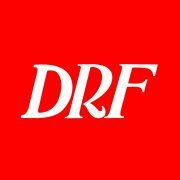 The Arc, held at Longchamp in Paris and scheduled for Oct. 6 this year, was one of eight races newly designated as Win and You’re In by the Breeders’ Cup in its announcement of the full roster of 86 races for this year’s event, scheduled for Nov. 1-2 at Santa Anita Park in Southern California. The races for this year’s series will be held in 11 countries, and include 64 Grade 1 or Group 1 stakes. The Arc winner will be guaranteed a spot in the Breeders’ Cup Turf. Breeders’ Cup also designated the Juddmonte International on turf at York racecourse in England as its first European race guaranteeing the winner a spot in the Breeders’ Cup Classic, which is run on dirt. The Juddmonte International had previously guaranteed the winner a spot in the Turf. Winners of races in the series have their entry fees waived, as long as the winner is nominated to the Breeders’ Cup. At last year’s Breeders’ Cup, 35 winners of races in the series participated in the two-day event, and five of those won. Also added to the roster this year were three races giving the winner a berth in the Breeders’ Cup Turf Sprint: the Kentucky Downs Turf Sprint at Kentucky Downs, the Prix Morny at Deauville in France, and the Prix de l’Abbaye de Longchamp in France on the Arc undercard. The other additions to the Breeders’ Cup Challenge schedule are the Grade 1 Cotillion Stakes at Parx racetrack outside Philadelphia, for a spot in the Distaff; the Grade 1 Fourstardave at Saratoga Race Course in New York, for the Breeders’ Cup Mile; the Jockey Club Derby at Belmont Park in New York, for the Turf; and the Gran Premio International Carlos Pelligrini Stakes in Argentina, for the Turf. The Gran Premio spot for 2019 was earned by Il Mercato for his win in the Dec. 15 running. Many of the races in the series will be broadcast live as part of NBC Sports Group’s coverage of racing this summer and fall. The series has 11 broadcasts scheduled from June to October.